Charleston Black Girls Bloggers Brunch was an experience that will forever be included in my memory and it is a start for many memories to come. This move was all created by Nikki Grant (@lookfabuless), the blogger of www.lookfabuless.com. 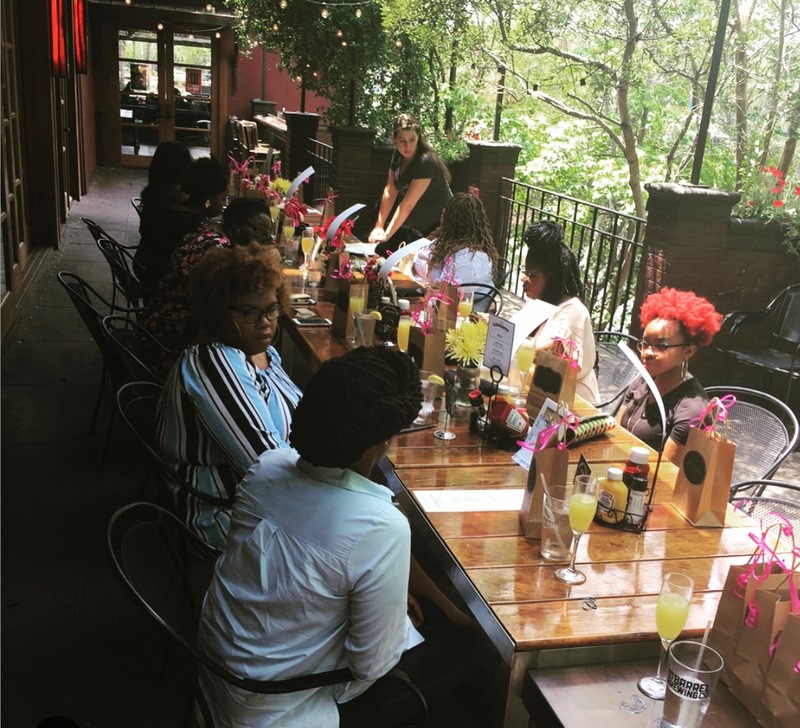 The purpose of Chs Black Girl Bloggers Brunch or CBGBB is bring all brown girl bloggers and creatives together in one spot to motivate, help, and excell with one another on their paths to success. 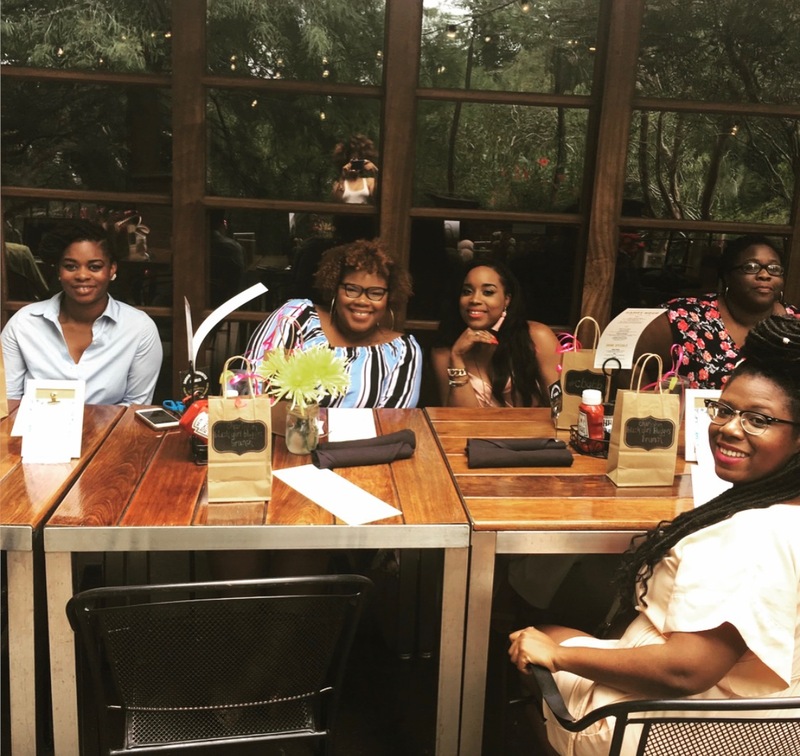 The first brunch motivated me more than ever! Every girl in attendance had drive, dedication, and motive to get their brand to the next level. We all shared our insights on where we need to head, what we need to do, and much more to get to the next level. Ireana, Creator of XOXO IJoelle, dropped some bombs on what we can do as creatives to get our brands up off of the floor. Everything she said was true and the number one thing that I got from her was, "Be authenic." She was on point when she said this considering what you do will only work for you! Her workshop this coming September will have more insights to this as well. The venue was a nice setting and the service was excellent at The Liberty Tap Room Mount Pleasant. I order the Strawberry French Toast and a nice refreshing glass of mimosa; it was BOMB! We received a lovely bag from several sponsors (see below), which I will be doing a review on soon! I want to thank them deeply for everything they did for us! I also want to thank this queen right here for everything! She saw what we need and she made it all possible. Keep thriving Nikki! I cannot wait until the next meet up! CHS Black Girl Bloggers Brunch was a success and we are on the move.